I'm not sure who was the first modern researcher to “discover” it, but All Cubans/Cuban Stars owner Abel Linares, writing in the 1911 Spalding Baseball Guide Spanish-American Edition (yes Yogi, it’s deja vu all over again), discusses the genesis of the 1899 All Cubans. He had written about the All Cubans in two articles in 1908 in Mendoza et al, El Base Ball en Cuba y América, but didn't mention the date of the original tour. Linares in the 1911 article describes how he disembarked in New York in June, 1899 (steamship manifests, anyone? ), with $25 and 12 players, 11 of whom he remembers as: Carlos Royer, Antonio Maria García, Alfredo Arcaño, Emilio Hernández, Daniel Miguel, Manuel López, B. Carillo, Baeza, Moises Quintero, Miguel Prats, and “Felo” Rodriguez (all accents and non-accents as published). Linares describes the tour as a major calamity, and states that so little was made that he, Miguel, and Rodriguez were stranded in New York until money was received from Havana to allow them to return home. Someone with a 1911 Reach Guide or Spalding Record Book who checked the Ohio-Pennsylvania batting and pitching records for 1910 might find out what Luis was doing at least for one season between New Britain and Long Branch. 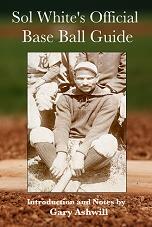 Galiana et al in Quien es Quien en el Base Ball en Cuba show “No jugó” for him for each year 1909-1912. So far, I haven’t found in the passenger manifests any of the Cuban teams visiting the United States prior to 1903. Maybe Patrick has had better luck. But—I can add a little about Luis Padrón in 1909 and 1910, having traced him through August, 1910, while looking for his tryout with the Chicago White Sox. In 1909 he arrived in New York on July 13 (listing Brooklyn as his final destination). By July 22, he was in Chicago, taking batting practice with the White Sox; and on July 23, he appeared in his first game for the Cuban Stars. He seems to have played for the Cuban Stars the rest of the season. Though I haven’t yet found him traveling to the United States in 1910, Padrón did appear for Molina’s Cuban Stars from at least May 12 through May 28. Then in the June 5, 1910, Chicago Tribune he appeared in the lineup for the Kankakee, Illinois, club (an independent semi-pro team), and continued with them until at least July 11 (his last appearance with Kankakee I could find). On July 24, he played second base for Eddie Hahn’s Red Sox, then the last-place club in the Chicago City League. (Hahn was one of the outfielders Padrón was competing with to win a spot with the White Sox the previous summer; Hahn played his last major-league game in June.) Padrón continued with the Red Sox, pitching and playing second base, into late August, which is as far as my research has gotten. Brent, you're probably right. There were a variety of ages given on passenger lists for García; this is the oldest I could find. When he died in 1923 his age was reported as 55, which coincided, so for now 1868 it is. But he's probably 3 or 4 years older than that, I'd think. Valentín González is a similar case; passenger lists have him born in about 1876, but that would make him 14 on his Cuban League debut in 1890. We need better Cuban sources. Gary, You've investigated "baseball ages" for several players using info from passenger manifests, etc. I'm wondering about Antonio Maria García. 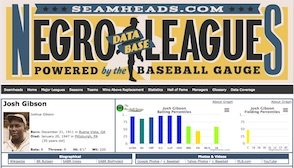 Seamheads lists his birth year as 1868, but since he debuted in Cuba in 1882, an earlier birth date seems likely.